The Virginia Asian Chamber of Commerce’s mission is to promote and facilitate the success of our members, the Asian American Pacific American businesses, other diverse businesses and the communities they serve through networking, outreach, advocacy, and education. The Chamber envisions building a stronger and productive business network for the competitive future of the Commonwealth of Virginia in the competitive global economy. World class education, rich history, centralized location, quality health care, global ports, robust retail shopping and recreational activities, you will find much to love in our vibrant Virginia quality lifestyle. Centrally located on the U.S. East Coast, businesses benefit from their proximity to major business, financial, and governmental hubs, and availability to global markets. As Virginia is located approximately halfway between Maine and Florida, adjacent to Washington, D.C. and within 300 miles of New York City, 41% of the U.S. population falls within a one-day (10 hour) drive. Virginia is truly in the center of all that The East Coast U.S.A has to offer. Our state is nationally recognized for low cost of living, a friendly business climate, low unemployment, world-class schools and infrastructures, and a friendly business environment. This is a global business location where peoples from all Asia and over the world, international cultures, and commerce thrive. Companies seeking to locate in our state find a highly educated workforce, a centralized strategic location to reach global markets, and a robust infrastructure system. Entrepreneurship and innovation have a strong ally in the Virginia Asian Chamber of Commerce, the public voice of 47,750+ Asian American and Pacific Islanders (AAPI) businesses in the Commonwealth of Virginia. Census indicates that Asian American and Pacific Islanders as a minority population has the highest number of businesses hiring the highest number of employees, and AAPI having the highest number of college graduates and PhDs. In the Commonwealth and in the nation, and with the highest family GDP. Within the Commonwealth, and created in 2004, Virginia Asian Chamber of Commerce is the oldest and officially recognized statewide Asian Chamber with statewide satellite offices in the Commonwealth with events and activities in major regions of the state, providing our business communities and members with key connections and resources. 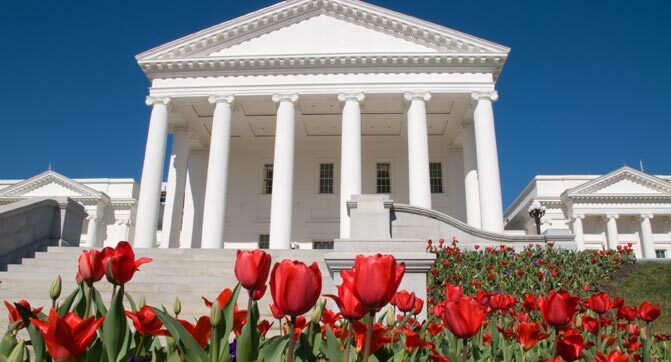 We are also a member of a robust network of more than 40 Asian Chambers of Commerce all across the United States and a strong coalition member of the national Asian Chambers of Commerce with a strong voice at the Virginia General Assembly and at Capitol Hill. On behalf of our membership, the Virginia Asian Chamber of Commerce invites you to explore Virginia and JOIN the Chamber!